If you are looking to bring detail, colour and design along with lots of functionality to your windows, then our stylish patterned vertical blinds are the perfect solution. They are a great way to add the wow factor to your home or office, each one of our luxurious designer patterns has real depth and character that will transform the look of any room. Precisely control privacy and light in a fashionable and timeless way. From ultra-modern to traditional, our high quality prints and patterns will bring detail and unique styling to any bedroom, kitchen to lounge windows. With bright and bold colours, natural textures and funky designs our luxury patterned designs make a fabulous focal point at any window. 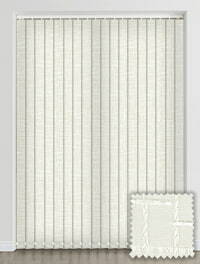 With their privacy control and UV protection they are extremely practical blinds as well.